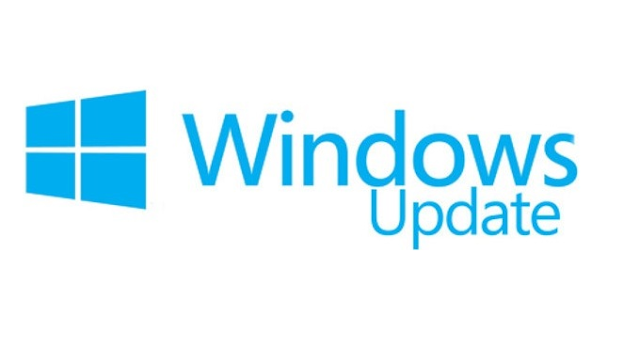 Reset Windows 7, 8, 10 Update Agent is a Microsoft batch that allows you to perform various maintenance operations, such as when Windows Update does not work. Another tool (Microsoft) to repair among other Windows Update , because contrary to what its name might suggest it is not exclusively reserved for repairing Windows Update. 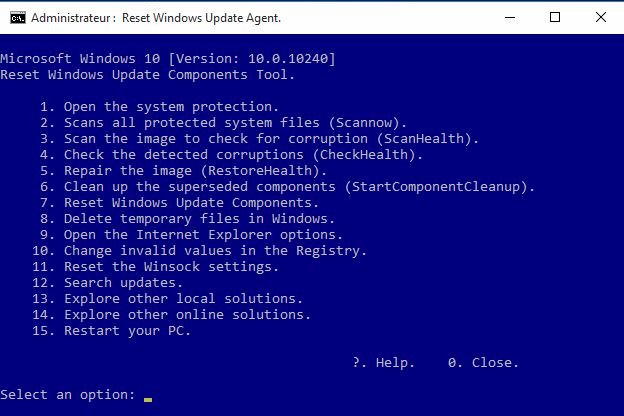 Reset Windows Update Agent is a Microsoft batch that allows you to perform various maintenance operations, such as when Windows Update does not work. The batch works on all versions of Windows , but not all features are available on Windows. For example, some options will not work on Windows XP or Vista, since they are not available. Reset Windows Update Agent is only available in English. On Windows Vista, 7, 8, 10 , run the program as Administrator. Call: AddReg "% key%" " AllowOSUpgrade " "REG_DWORD" "1"
This line adds to the registry the key for the upgrade (as they say) to Win 10. In fact, it is not the key itself, but its value " 1 ". is blocked. This is the function " Repair Windows Update " Which takes this key into account. This is why I propose at the end of the article the ZIP archive which takes up the batch file of Microsoft, modified accordingly . In the archive, I included a file " Readme.txt " which explains the maneuver of Microsoft and how to remedy it. Note:After a failure to install a big upgrade of Windows 10 (ex 1511 >> 1607 ) there is a hidden file named $ Windows. ~ BT at the root of the system disk C: this is just a temporary temporary file After running an upgrade from a previous version of Windows. You must remove it to avoid conflict if you try to upgrade again.